Given the low salary increases for UMass employees statewide (2% per year), we negotiated to have total raises be applied as cost of living, rather than have a portion allocated for merit. We agreed to continue to bargain parking in the fall while ratifying everything else in order to get your pay increases. Research Intensive Semester (RIS)- the Administration will provide the FSU with a list of each college’s formal RIS policy or its equivalent. The parties will then negotiate to attempt to create an RIS or its equivalent in colleges/schools where RIS is not in place. Possibility of a 3/4 full-time teaching load for Senior Lecturer II’s with 1/4 time for either service or scholarship. ‘Help not hurt’ service and scholarship- NTT who do service or scholarship that is not a part of their salaried work may have such work considered positively for promotions and Pool B (Dean’s pool) merit. NTT who do not perform such work (unless they are paid to perform this work) will not be penalized in either merit or promotional consideration. Clarified language regarding continuity of service and accrual of time. Clinical Associate Lecturers= Associate Lecturers who teach primarily clinical instruction need licensure. All other provisions particular to Associate Lecturers will apply. Clinical Lecturer, All Ranks= Lecturers who teach, do clinical practice, need licensure; those who do dept/college service and no scholarship, can be moved to 3/4 at any time. If they are reduced below 3/4 to do ‘greater than normal’ service, they will be evaluated accordingly; they will need to provide names of 2 external scholars/professionals for promotion review if they have a reduction in teaching due to service/scholarship of practice (2 additional names to be provided by the Chair). All other provisions particular to Lecturers, all ranks, will apply. Workload- Those who teach clinical instruction need licensure; those who perform dept/college service, engagement in scholarship of practice, will be 3/4. If they are reduced below 3/4 to do ‘greater than normal’ service, they will be evaluated accordingly. Appointments- Appointments are normally full-time. Initial appointments are for 1, 2, or 4 years. One must have a terminal degree. Replacement of Senior Lecturer and Senior Lecturer II language by TT faculty will apply to Clinical faculty. Clinical Asst Profs can apply for Clinical Assoc after 6 FTE years. Promotions- One will need to provide the names of 2 external scholars/professionals for promotion review if you have a reduction in teaching due to service/scholarship of practice (2 additional names to be provided by Chair). Travel Funds- will now be eligible for funds in Article 26 (previously applied to tenure track faculty only). All other provisions particular to Lecturers, all ranks, will apply. An exception clause was added to the minimum years of service to allow librarians to apply for promotion earlier in special circumstances. Procedures were added so that librarians can negotiate a stipend or salary increase for internal appointments that require more supervisory and/or managerial responsibilities. The Annual Report and Evaluation for Librarians, will now be called the Annual Librarian Report and Evaluation of Professional Activities to align with the faculty. The report also adds language to clarify professorial activities. Right of first refusal with $500 licensing fee if you elect not to teach the course and someone else teaches it. Bargaining unit fall/spring collapsed into the main unit with new definition of CAPS courses as those offered after 3:00 pm, all courses off site, and Winter/Summer sessions. 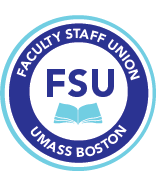 Salary increase for Summer/Winter from $4201/$4578 to a single rate of $4500 for Associate Lecturers (current rate preserved) and $5100 for all other faculty. Priority Lists – A clarified seniority assignment system for summer/winter courses based on total number of s/w courses taught. Those with seniority standing will continue to be guaranteed up to two courses in the summer and up to one in the winter, subject to department course availability. Sexual harassment now covered by union dismissal procedures. Labor/Management Committee to review sexual harassment/ODI procedures and standard of proof for all dismissal cases. Faculty are not required to be mandatory reporters of sexual harassment but are encouraged to report these. Obligation of the administration to use progressive discipline before dismissing faculty. Language changes to information provided to the FSU in pursuit of member recruitment. Clarification of current release sections for union activity directly related to FSU activities. Tuition Waiver - Increased benefit for spousal and dependent benefits to 60% if you have worked at UMB for over two years. Phased Retirement - Established phased retirement agreement for up to 2 years at 50% FTE or greater.